Sirisena cites assassination plot as justification for replacing Wickremesinghe with Rajapaksa, as parliament speaker backs 'in-situ' prime minister. New Delhi: When Mahinda Rajapaksa was sworn in by President Maithripala Sirisena with the oath of office of Prime Minister on Friday evening, it came as a complete surprise to India as well. 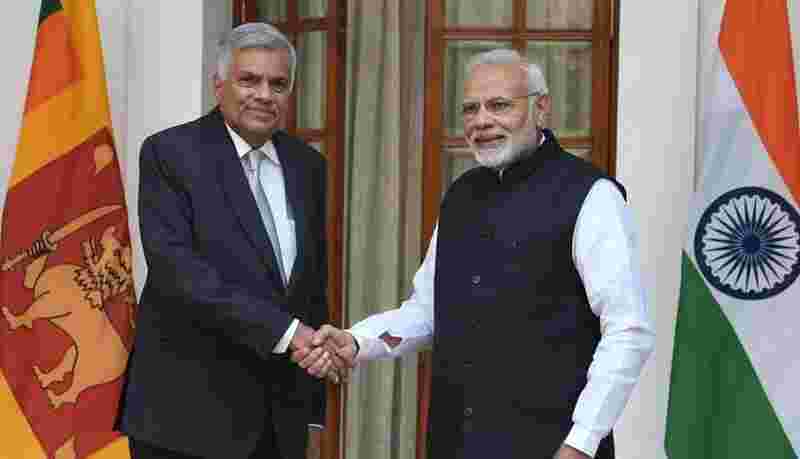 New Delhi was no stranger to the deep distrust between Ranil Wickremesinghe, the incumbent prime minister, and Sirisena, especially since both were open about their antagonism towards each other with their Indian interlocutors. However, there was still an element of surprise in the timing and the fact that Rajapaksa himself was taking on the mantle. On Friday night in Colombo, the President’s office announced that his United People Alliance party had withdrawn from the government. This was followed by Sirisena swearing in Rajapaksa – whom he had defeated in the 2015 presidential elections – as prime minister. Now, on Monday morning comes news of Rajapaksa pushing for snap parliamentary polls. So far, Wickremesinghe remains at Temple Trees, the official residence of the Sri Lankan prime minister, insisting that his party retains a majority in parliament. In an extraordinary gazette notification on Saturday evening, Sirisena announced that he was proroguing the parliament till November 16. He did this after Wicrkremesinghe called for an emergency meeting. On Sunday, speaker Karu Jayasuriya wrote to Sirisena that Wickremesinghe’s request to retain security and privileges of Prime Minister till a floor test in the parliament as a “democratic and fair request”. Jayasuriya clearly put himself squarely in the camp of Wickremesinghe, whom he described as having “obtained a mandate for democracy and good governance”. He also warned that the continued prorogation of parliament till November 16 could have “serious and undesirable consequences for the country”. In his speech, Sirisena did not mention India at all in his speech or his disagreement with Ranil over the East Container Terminal. However, he did note that “many valuable assets were given to foreigners without tenders”. The Sri Lankan president asserted that “no constitutional violation was done when appointments were made and removal was enacted”. Meanwhile, former defence secretary Gotabaya Rajapaksa on Saturday asked the international community to “support” his brother. “I urge all of you to support Mahinda Rajapaksa as he is the one who can restore normalcy in this country,” he said. The only categorical recognition from the international community for Rajapaksa may have been from China. Sri Lankan media showed clips of the Chinese ambassador to Sri Lanka calling on Rajapaksa to offer best wishes from President Xi Jinping. The Chinese envoy also met with Wickremesinghe separately. The UNP leader had held a briefing for Colombo-based foreign diplomats on Saturday. India was represented by the deputy chief of mission at the Indian embassy, Shilpak Ambule. Till now, besides China, only the US and the European Union have responded to the developments. However, they have not extended any recognition to either side but underlined that the constitution should be implemented and due process followed. India has preferred to stay out of the limelight, but communication channels with all sides of the political spectrum have remained active. New Delhi finally broke its silence on Sunday, almost 40 hours after the swearing-in ceremony presided over by Sirisena. 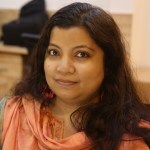 “India is closely following the recent political developments in Sri Lanka. As a democracy and a close friendly neighbour, we hope that democratic values and the constitutional process will be respected,” said MEA spokesperson Raveesh Kumar, echoing similar statements made by the US and the EU. He added that India will “continue to extend our developmental assistance to the friendly people of Sri Lanka”. India’s statement on respecting the constitutional process was given in the background of rising threats of violence. One man was killed after security personnel of Petroleum minister Arjuna Ranatunga fired shots at Rajapaksa supporters who had besieged his office. Petroleum trade unions immediately launched a strike to protest the killing of the worker of the Ceylon Petroleum Corporation. On Sunday night, Wickremesinghe’s security at Temple Trees was reduced to 70 to 10 security personnel. While there had been a view that India should not respond till the legality of situation was resolved, it also became clear that a complete silence from New Delhi would be untenable. When Modi met with Rajapaksa last month in New Delhi, they had an intimate meeting, with hardly any officials around. According to Indian sources, Rajapaksa had himself brought up the elephant in the room – the ‘China factor’ – during the conversation. He sought to explain that the projects that he initiated with Chinese funding were for “national interests”, but that the present government had warped the conditions to trap Sri Lanka into a rabbit hole of spiralling debt which led to the 99-year lease of Hambantota port to China. Even as he repeated India’s ‘neighbourhood first’ policy, Modi apparently reminded Rajapaksa that the latter himself had been the first to bring the Chinese into Sri Lanka. 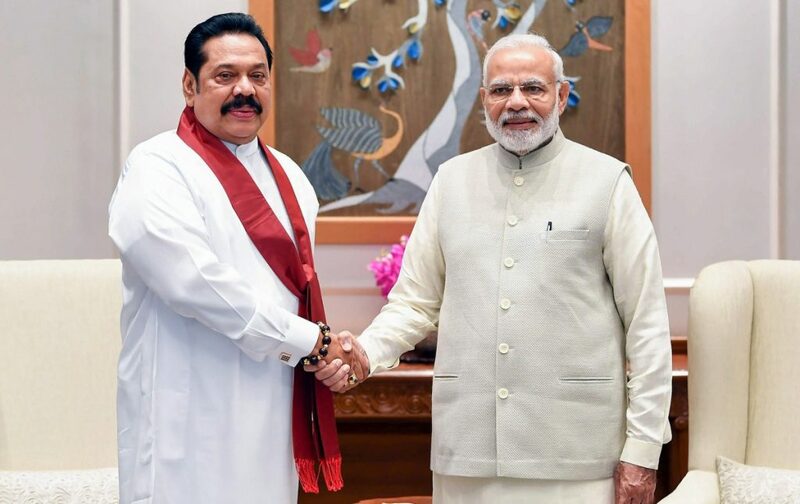 Rajapaksa also reportedly informed Modi that his party’s opposition to project proposals with Indian partnership should be seen as part of domestic political position and not as an attack on India. On the civil war, Rajapaksa asserted what he also mentioned in his public speech – that military action was directed at terrorists and not the Tamil community. Modi walked Rajapaksa to his car after their meeting, which acquired a lot of symbolism in Colombo. The message that India gleaned from Rajapaksa was that he sought to convey that he had the people behind him and wanted ‘support’ from India. For India, Wickremesinghe has long been the ‘best bet’ to get key projects off the ground before the next elections in 2020, especially since the calculation was that he would not be back. In April 2017, India and Sri Lanka signed a memorandum of understanding on joint economic projects, which included a timeline for implementation. The MoU stated that the East Container Terminal would be developed at the Colombo Port as a joint venture between India and Sri Lanka, which could have ‘balanced’ China’s operation of the south terminal. A consortium led by the Container Corporation of India (Concor) had been ready to bid for the contract once it opened. However, in August 2017, Sirisena announced that there would be no private-public partnership for the East Container Terminal, with trade unions strongly against handing it over to a foreign firm. A year later, there was renewed hope for India as Wickremesinghe had put the project before the cabinet again for consideration before his scheduled trip to New Delhi. But the cabinet meeting degenerated into recriminations between Sirisena and Wickremesinghe over their long-simmering grudges. While the main point of contention for Sirisena was an alleged assassination plot supposedly masterminded by India’s external intelligence agency, the Sri Lankan president also put his foot down against development of the port by the India-led consortium. 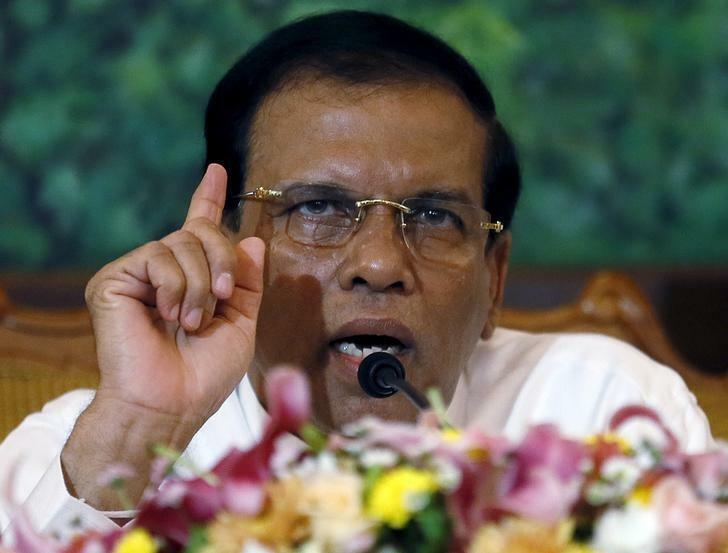 After the media got wind of the cabinet proceedings, the Sri Lankan government issued at least three separate statements refuting reports that Sirisena had accused RAW of plotting his assassination. The Sri Lankan president also called up Modi to smooth over ruffled feathers. According to multiple sources, he also specifically mentioned that the UNP leader wanted to create a rift between him and the Indian prime minister. This, of course, found no mention in India’s read-out of the phone call, except for a reference to “vested interests”. Three days later, Wickremesinghe was in Delhi. Unlike the Indian read-out, the Sri Lankan prime minister’s press release was a no-holds barred narration of the gist of the meeting, which was directed squarely at Sirisena. Indian sources confirmed the version put out by Wickremesinghe’s office but noted that it was never intended for public consumption. Observers say that Sirisena’s move should be seen as an attempt to carve out some political space since his term will come to an end in just over a year. The reason Indian observers were surprised at Rajapaksa’s willingness to take over the premiership was because he would have to deal with “anti-incumbency” since there is substantial time still left till the next election. “Unless he manages to convince the electorate that everything was Wicrkremesinghe’s fault,” said a government official. But the legality of Rajapaksa’s term will have to be decided first – either in court or in parliament. The long period till November 16 is seen not just as ample time for Rajapaksa to attract other party MPs but also to consolidate his hold over state institutions. Already, state-run media groups have seen a takeover of editorial control by trade union members aligned to Rajapaksa’s party. Some other private media are having to come to grips with how to describe the two key players. In its October 28 edition, The Sunday Times referred to Rajapaksa as “newly sworn-in” while Wickremesinghe was described as the ‘in-situ prime minister”. If there is a legal challenge, Sirsena would have to prove that the removal was done as per constitutional norms, since a sitting prime minister can only be replaced if he is dead, resigns, no longer holds a parliamentary seat or has lost the majority. In the 225-member parliament, the UNP-led United National Front has 106 MPs, including 19 from three alliance partners. The principal opposition bloc, the Tamil National Alliance (TNA) with 16 seats, called on the speaker to immediately summon the parliament to enable it to perform its “legitimate functions”. The Janatha Vimukthi Peramuna (JVP), with six seats, has also criticised the move to appoint Rajapaksa as prime minister. Meanwhile, Rajapaksa’s bloc in parliament, which had around 95 seats, has already obtained at least three defections from UNP MPs. With 113 being the majority mark in the parliament, his supporters claim that “over 20 UNP MPs” were waiting in the wings to cross the fence. The UNP’s job is to keep its flock together amidst rumours swirling of high-stake horse trading. If Rajapaksa surmounts all these challenges, India is resigned to the possibility that the implementation of major development projects will be delayed – at least till the elections. Sirisena had offered the West Container Terminal to India, but New Delhi is not too impressed with its viability. The Sri Lankan president had stated in the ‘infamous’ cabinet meeting that he had discussed the East Container Terminal with Modi on the sidelines of the Bimstec meeting in Kathmandu in September. He had claimed that the Indian PM “does not mind” if Sri Lanka develops it “single-handedly”. Sources said that Sirisena’s interpretation is correct to an extent. “Our position is that this offer was made by Sri Lanka to India. If they are changing their mind, it is their prerogative. If they want to develop it themselves, then it is fine. Our only view is that Sri Lanka should not hand over the development of these strategic projects to any other country,” they said.